at Vacation Bible School, July 8-12. Click here to register. 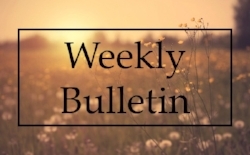 You can download our weekly bulletin by clicking here. Check out our calendar of events and find the right time for you. COME, AND BE A PART OF OUR STORY! You are invited to join the ministry of Level Creek United Methodist Church. We are striving to follow in the footsteps of Jesus Christ, worshipping our God of love and compassion, offering ourselves in service to others, and prayerfully participating in the work of the Holy Spirit. Level Creek UMC has a rich history and deep roots in the Suwanee community. Our story is filled with incredible people who humbly serve God and faithfully serve the community. We continue to grow, continue to learn, and continue to seek God's presence in the world.